Denver, CO – 13-time award-winning sci-fi/fantasy novel The Bane of Yoto, published by FiXT, is setting its sights on beer lovin’ taste buds. Author Joshua Viola has partnered with Denver’s Black Sky Brewery to create The Ale of Yoto, a blueberry wheat beer crafted by master brewer Harry Smith. A release party for the The Ale of Yoto will be part of the American Craft Beer Week celebration in Denver which showcases only the finest efforts from master brewers. Early taste testers have agreed that Black Sky’s Harry Smith knocked it out of the park. The Ale of Yoto has a smooth finish with just the right hint of blueberry and is perfect for the upcoming Summer season as well as for enjoying the blockbuster novel it was inspired from. 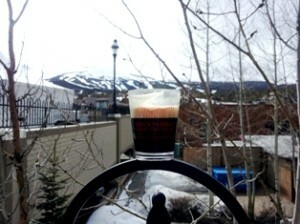 The 2013 Breckenridge Spring Beer Festival was a great event! 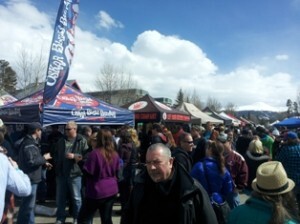 The 2013 Breckenridge Spring Beer Festival was held Saturday, April 6th in Downtown Breckenridge, CO. There was a lot of buzz as beer enthusiasts gathered to sample some of the best craft beer Colorado, and the United States has to offer. From big national brewers like Sam Adams and Sierra Nevada to smaller regional brewers like Palisade Brewery and San Luis Valley Brewing, the event provided visitors a chance to sample many different types of beer. Several Colorado favorites were available with AC Golden, Breckenridge Brewery, Great Divide, Left Hand, Odell and Oskar Blues providing their popular craft beers. The atmosphere in Downtown Breckenridge was lively and fun as beer enthusiasts from all over gathered to sample a great mix of quality craft beers. The event catered to an audience of all ages, and many families came to enjoy the festival. Live music created a nice vibe as many participants danced in the street to the music of 7Horse, Mountain Standard Time, and Max Gomez. There is nothing quite like drinking a fresh beer, while listening to good music with the mountains above Breckenridge in the background! Best Beers (in our opinion). Keep in mind that there were so many great beers available to taste, we didn’t even come close to trying all of them! 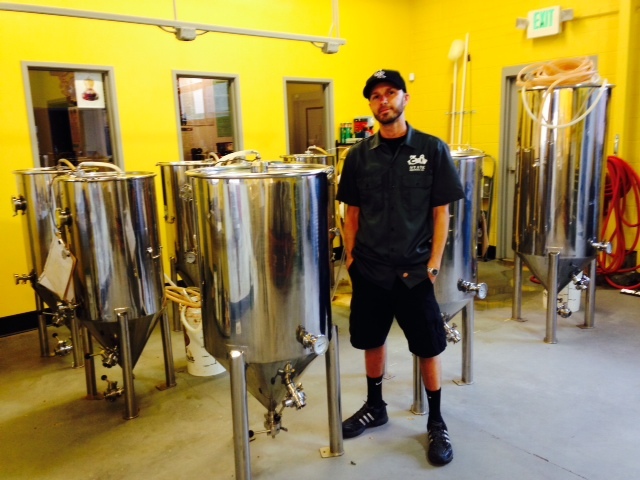 To see a list of all brewers that participated in the event, click here. Wheat: Pug Ryan’s Morningwood Wheat was outstanding. A smooth taste, with very subtle spiciness and a nice finish. Stout: Left Hand’s Milk Stout was really tasty. The subtle taste of coffee, without being overpowering. The Milk Stout has a nice creamy/frosty finish and goes down really smooth. Belgian: Avery’s White Rascal has a spicy, sweet and unique taste. As we overheard someone say “It tastes like Christmas!” While that is not how we would describe it, the saying actually works. Lager: Colorado Native was our favorite lager of the day. A distinct malt flavor with some bitterness and an overall clean, crisp taste. IPA: The Odell IPA was our first beer of the day, and just so happened to be our favorite IPA as well. Great hoppiness, with smooth, subtle hints of fruity finish. Pilsner: The Oskar Blues Mama’s Little Yella Pils. This beer has a bit of a different flavor than most Pilsners. A rich, smooth and subtly hoppy beer with a nice finish. Most Unique/Unusual: Breckeridge Brewery’s Roasted Habanero Lucky IPA. This crazy beer has a subtle kick from the habanero, but is not overpowering. It’s a creative twist on the IPA, and was unlike anything else we tried!